"I couldn't bear to leave Fritz to face death alone. So side by side, we marched to the train tracks as ordered. 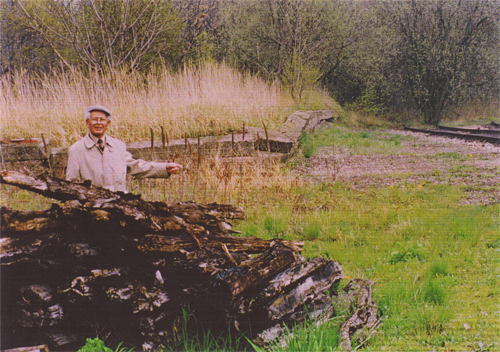 The tracks terminated near the camp, at the edge of the forest. The SS men were jumpy and drove the prisoners into near hysteria. The prisoners' plaintive cries were heartbreaking. Fritz had a few pages from Revelation, the last book of the Bible. I suggested that we slip behind a woodpile not far from the tracks and away from the chaos.